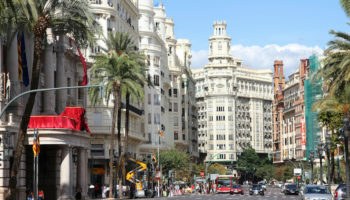 Spain is a surprise to those who have the image of having to fight for towel space at one of its crowded beaches or sipping sangria while watching a bull fight or flamenco. 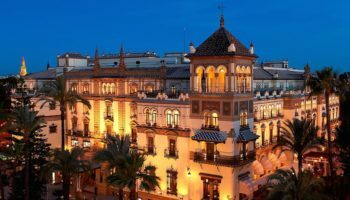 From the ancient monuments left by the Romans and Moors, the medieval castles of the interior, the white villages in inland Andalucía or the vibrant cities of Barcelona and Madrid, there is a great mixture of cultural attractions in Spain. The landscape varies just as widely. The evergreen estuaries of Galicia could hardly be more different from the deserts of Almería or the rugged mountains of the Sierra Nevada. And then there are the countless glittering beaches that dot the Spanish coast. Although busy in summer even along the coast of the big tourist Costas some enjoyable beaches can easily be found. 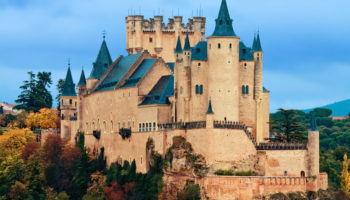 Here’s a look at the top tourist attractions in Spain. The Palacio Real (Royal Palace) of Madrid is the official residence of the King of Spain although it is only used for state ceremonies. The Royal Palace was built between 1738 to 1755 and King Carlos III took up residence in the palace in 1764. The Aqueduct of Segovia is one of the best-preserved monuments left by the Romans in Spain. The ancient aqueduct carries water 16 km (10 miles) from the Frío River to Segovia and was built of some 24,000 massive granite blocks without the use of mortar. Probably constructed around 50 AD it still provided water to the city in the 20th century. 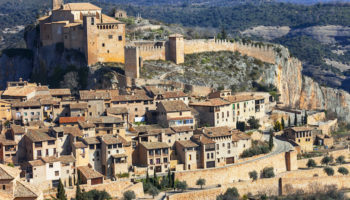 Situated between Madrid and Valencia, Cuenca is a marvelous example of a medieval city, built on the steep sides of a mountain. The many “hanging houses” are built right up to the cliff edge, making Cuenca one of the most striking towns in Spain, a gem in the province of Castilla La Mancha. 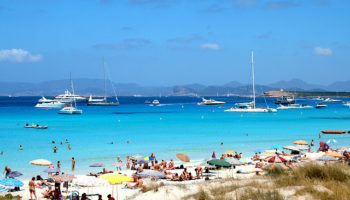 Ibiza is one of the Balearic Islands in the Mediterranean Sea, off the coast of Spain. The island is one of the most popular party destinations in all of Europe. 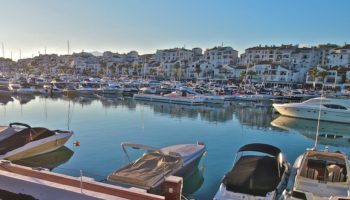 During summer, the island’s population doubles as tourists flock to Ibiza to enjoy the night clubs, beach bars and restaurants. The Sagrada Familia is a large Roman Catholic church in Barcelona, and one of Spain’s most visited tourist attractions. 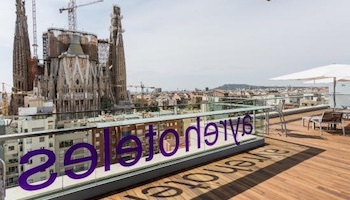 It’s a design by Antoni Gaudí, a Catalan architect who worked on this project for almost 40 years until his death in 1926. The construction of the basilica began in 1882 and still as yet not finished. Nestled in the foothills of the Sierra de Guadarrama, El Escorial was the political center of the Spanish empire under King Philip II. Philip appointed Juan Bautista de Toledo as the architect in 1559 and together they designed El Escorial as a monument to Spain’s role as a center of the Christian world. 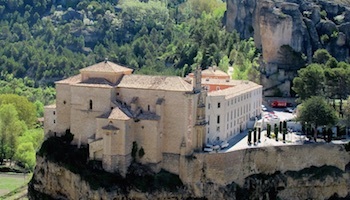 Today it functions as a monastery, royal palace, museum, and school. The Mezquita (Spanish for “Mosque”) of Cordoba is a fascinating building famous for the forest of pillars and arches inside the main hall. The site was originally a Roman temple, then a Visigothic church, before the Umayyad Moors built the Mezquita. After the Spanish Reconquista a cathedral was built into the center of the large Moorish building. Part fortress, part palace and part garden the Alhambra is situated on a plateau overlooking the city of Granada in southern Spain. The palace was constructed in the 14th century by the Nasrid sultans. 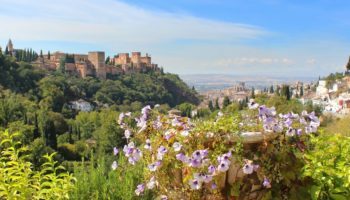 The Alhambra is now one of Spain’s major tourist attractions and many visitors come to Granada just to see the Alhambra. Which attractions in Spain do you consider to be the most interesting? 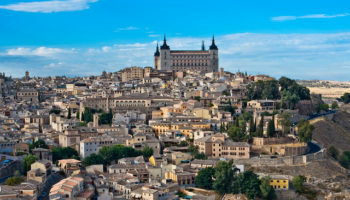 Spain has so much to offer every traveller, 86% of all visitors will only visit coastal Spain, however there is so much more to this fasinating country than its lovely beaches. Wow i love all these attractions !!! I love Spain! I’d go there in a whiff. wow! I never knew how absolutely beautiful Spain was! wow! 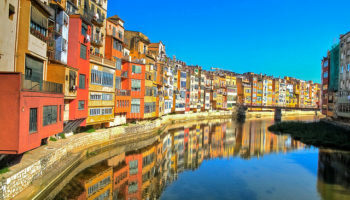 i never knew how absolutly beautful spain is,one day i have to be there my self.